EUGENE, Oregon, March 31, 2019 (ENS) – In what environmental lawyers in Eugene are calling “a stunning upset,” activist public interest attorney and Goldman Prize winner Zuzana Caputova has been elected President of Slovakia. Presidential elections were held in Slovakia on March 16, with the runoff on March 30. Incumbent President Andrej Kiska did not run for a second term. Caputova of the Progressive Slovakia party won the runoff round with 58.4 percent of the vote over Maros Sefcovic, vice president of the European Commission for the Energy Union, running as an independent. She is the first woman to be elected to the position and will become Slovakia’s youngest president upon her inauguration June 15, 2019, just a few days before her 46th birthday. 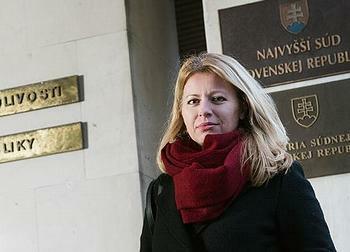 Slovakia becomes the eighth country in the European Union to now have a woman in power. 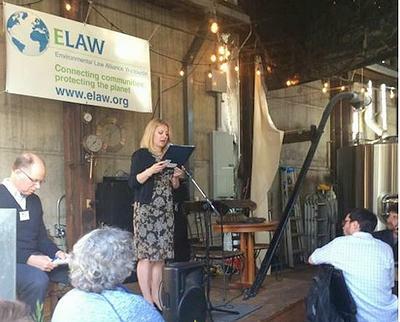 Caputova had traveled to the university city of Eugene, Oregon in the spring of 2017 to participate in the Fellows Program offered by a unique environmental law group, Environmental Law Alliance Worldwide. Usually called ELAW, the group is a source of legal and scientific support that helps lawyers worldwide challenge environmental abuses. President-elect Caputova won a Goldman Environmental Prize in 2016 for her work in organizing a successful campaign against an illegal waste dump in her hometown, the vineyard town of Pezinok, Slovakia. For Caputova the environmental problems became uncomfortably personal. The stench from the nearby dump seeped into her home, where she kept the windows closed to keep her two young daughters from breathing it. Cancer invaded her inner circle when both her uncle and a close colleague’s wife received diagnoses in the same week. To put an end to the toxic fumes from the waste dump, Caputova and other activists came together and organized peaceful protests, concerts, and photographic exhibits and gathered 8,000 signatures in a petition to the European Parliament. In addition to mobilizing civil society, she mounted a legal challenge to a proposed new landfill through the Slovakian and EU judiciaries. The campaign culminated in 2013, when the Slovakian Supreme Court ruled that the newly proposed landfill was illegal. The court withdrew permission for the new dumpsite to begin operating, and ordered the old, decrepit dumpsite to shut down. The verdict echoed a decision from the EU Court of Justice, which affirmed the public’s right to participate in decisions that impact the environment not only in Pezinok but throughout the European Union as well. During the presidential election, Caputova ran on a slogan of “Stand up to evil” that resonated well with voters just a year after the shocking murder of investigative journalist Jan Kuciak and his fiancee. She had come to public attention marching in protest of the gunning down of these people, and she has pledged to eliminate corruption and influence peddling among prosecutors and police. In Slovakia, the presidency is less powerful than the prime minister’s office, but the president is responsible for ratifying international treaties and appointing top judges, is commander-in-chief of the armed forces and can veto laws passed by parliament.